Specially formulated for oily and acne-prone skin. Contains 10% ultra-pure glycolic acid with the proven keratolytic ingredient 2% salicylic acid. 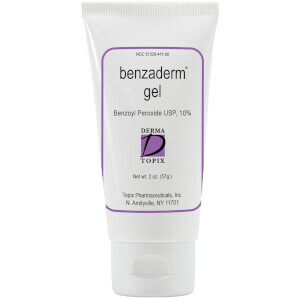 It also contains witch hazel to help deliver skin toning and astringent benefits. Patented pad applicator is convenient and simple to use. An effective advancement treatment from the current Gly-Sal 5% pads. You see and feel the toning and cleaning results on your skin. I swear by these things! I've been using the gly/sal 10-2 pads for about 4 years now- they're the only thing I use. I used to have acne everywhere, including on my back from sweating a ton from excercising, and these pads are the only thing that have every worked for me. Proactive, neutragena salicilic body wash, benzoyl peroxide - none of these ever did the trick. GET THIS PRODUCT, it'll be the only thing you'll ever need. I've been dealing with "ingrown hairs" forever. Shaving is the bane of my existence, because my beard is thick and I have to shave twice a day just to look "professional," and then I get swollen irritated blemishes all over my face -- and no matter what Shaving Cream/Gel I use, and no matter what Toner/Aftershave I use -- this persistent problem is always right there waiting to wreak havoc on my life.Going to the dermatologist, I was given all sorts of stinky sulfur face washes, retin a, steroids, peroxides, etc -- and other than making my wallet empty and my face stinky, there were no results.This stuff is like a dream come true. (1) There is virtually no fragrance, which I love, because getting a headache is a miserable exchange. (2) The pads are made of a material that does not shred on contact with my beard, so there are no strands to get the medicine in my eyes and ears and nose and mouth. (3) It's strong enough so that if you use it on your beard and on your forehead you're not just pushing around dirt and spreading bacteria/blemishes. (4) Because it is such a great exfoliant and because it is such an effective blemish fighter, my skin is so much more even and light!I really love this stuff, and I use it every morning as a toner/aftershave, following the Topix Gly10 Sal2 cleanser (which I use in the shower), the results are, honestly, consistently excellent!One thing, I wish Topix made a Gly10 Sal2 toner in liquid form, rather than just in pad form, because after shaving I would prefer to pour some toner liquid on my hands and rub it lightly across my face -- I feel that the pads might slightly irritate any potential cuts from shaving -- but, again, the active ingredients are so effective that even if the pads do slightly irritate cuts from shaving, it cleans them immediately so that no infected ingrown hairs or blemishes occur!Hmm, I guess I also wish that Topic made a Gly10 Sal2 Shaving Cream/Gel! It would make my life easier... A boy can dream, right? i've been using every night. i do notice that pimples dry/heal up faster than without it. i used it for my face n back and it works fine. I recently had a bad breakout along my chinline. I thought i would give these a try and started using them 4 days ago. chin breakout? almost completely gone! these work so much better then the peter thomas roth pads i was using previously..and these are 1/2 the price! i will be buying more, that is for sure. smell a little weird and some light tingling after using them but nothing problematic. I've been using this product for a couple of years now and love it. I've had cystic acne and oily skin my whole life and this is one of the few products to noticeably improve my skin-- including multiple rounds of every prescription regime out there. It can create a stinging sensation if you have any cuts or scrapes, or if you use too many acne products with it, but otherwise is not overly drying at all-- at least not in the humid summer climate of Atlanta! In the winter when it's drier outside, I just switch to the 5-2 to keep from irritating my skin. I've been using this product for the last several years and at age 54 this is the only product that finally cleared up my acne. I don't find the 10-2 harsh and use the pad twice a day. I cleanse my skin with a mild cleanser and and finish up with the pad focusing on the T-Zone. It seals the deal by eliminating all traces of make-up and grime. I've recommended this product to others and they're hooked too. 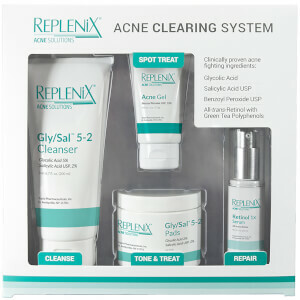 Great product for acne prone skin. I have been using these pads twice daily for over a year now -- I got them from my dermatologist originally because I have oily, breakout-prone skin although I'm 41. I have used them in the 5%, 10% and 15% strengths. 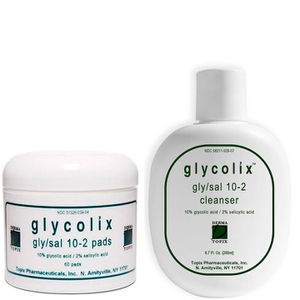 I found 15% to be too harsh for my skin.Sometimes I alternate them with the Citrix antioxidant pads, which are less strong.I love the fact that these are pads -- I use them for daily cleansing and like the convenience factor -- no water or washcloth required, and they're great for travel. If I am going somewhere for a few days and don't want to take the whole container, I just put a few pads in a little ziploc bag and they stay moist for days.If you haven't used these pads before, I'd probably start out with the 5/2 pads once a day, then work your way up to this strength. I purchased this at the doctors office and it was a waste of money for me. I think the combo of salicylic acid and glycolic acid or the acetone was not for my skin type. Better suited for someone with a more resistant skin type. What a great product! I am 37 and have very oily and acne-prone skin. I have (had) very large pores, acne scarring, and very rough skin, especially on my forehead. I've combined this product with MD Formulations Vit-A-Plus Skin Clearing Complex salicylic/glycolic lotion and the results have been dramatic. The smoothing effect was almost instantaneous and it continues to improve my skin daily- smaller pores, smoother skin, less redness, fewer breakouts. I started with the 5-2 concentration and was so impressed I bought the 10-2 when those were gone. I experienced a little redness when I upped the strength, but my skin adjusted quickly. I love it! I specialize in skin care and this works like nothing else....and I've tried it all. My skin is clear, smooth and less oily.